Emmylou Harris’ one-time harmony singer takes on her own melodies with earnest heart but little energy. If Fayssoux McLean’s debut solo album Early sounds a bit like a throwback to Emmylou Harris’ early albums of the 1970s, that’s not a coincidence. If you go back to Quarter Moon in a Ten Cent Town, you’ll hear Fayssoux -- then performing as Fayssoux Starling -- singing alongside Harris on the duet “Green Rolling Hills”. Fayssoux met Harris in the early 1970s through her then-husband John Starling, one of the founding vocalists and guitarist of the Washington, DC-area bluegrass band the Seldom Scene. Harris took a shine to Fayssoux’s harmony vocals, and Fayssoux sang on Harris’ first four records with Warner Brothers, including her major-label solo debut Pieces of the Sky and the great Luxury Liner. It’s been thirty years since Fayssoux sang on those albums, and she initially didn’t pursue a music career, instead working as a teacher in Spartanburg, South Carolina. Enter Peter Cooper, a Nashville-based music journalist and country singer-songwriter, who met Fayssoux in the mid-1990s while working on a book about Spartanburg’s unusually rich music history. Cooper drew Fayssoux back to the microphone, and eventually to the recording studio for Early. The two drew on Fayssoux’s long history and Cooper’s current connections in Americana music to enlist an impressive roster of studio musicians: in addition to Cooper and Spartanburg guitarist Brandon Turner, David Ball contributes backing vocals and bass on several tracks, the richly experienced session player Lloyd Green’s pedal steel and dobro fills out the album, and renowned bluegrass musician (and one-time member of Harris’ Hot Band) Ricky Skaggs brings his mandolin to three tracks. Best of all, Emmylou Harris joins her former harmony singer to add her own harmonies to the traditional tune “The Blackest Crow” and to the two tracks penned by Fayssoux, “Early” and “I Know It’s Over”. With such a lineup, it’s disappointing that Early is not a more exciting or energetic album. Fayssoux’s alto is clear and soothing and sounds best on the rocking-chair ballads, lullabies, and slow waltzes that comprise most of the album, but the reliance on these lapping-water tunes prevents Early from ever being anything more than simply soothing. The three-part harmonies that Fayssoux strikes with Cooper and Harris on “The Blackest Crow” and “Early”, along with those performed with Sharon and Cheryl White on the traditional “Amen Children” and “Weepin’ Mary”, are graceful and pretty, but also mostly drowsy, without the current needed to draw the listener into their universe. But if the languorous songs that dominate the album try sweetly but ultimately fail to cast a spell over the listener, Fayssoux’s few attempts to up the tempo are also the album’s biggest stumbles. Drums drive the rhythm on only one of the album’s songs, “I Know How It Feels to Love”, and the result is a regrettable lite-rock non sequitur amidst the rest of the album’s country-folk. Fayssoux’s voice strains to the twangy requirements of the album’s single foray into rockabilly, a cover of Rufus Shoffner’s “Save It! Save It!”, a rendition that sounds quaint and goofy but doesn’t recapture any of the genre-pushing energy that filled 1950s honky tonk dance halls. The album could use a few more genuine foot-stompers, but it needs ones with more crackle and life than this. The album’s listlessness seems to reside less in the song choices than in the arrangements. Fayssoux has not yet developed Harris’ skill in song selection, but for the most part the songs are all well chosen. The album mostly presents a mixture of traditional gospel tunes and songs with their roots in the country, bluegrass, and folk scenes of the 1930s to the 1970s. 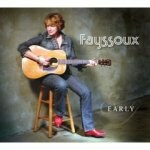 Fayssoux would have done well to also follow Harris’ lead not only in song choice but also in rootsy but inventive arrangements; even with the additions of Green’s pedal steel and Skagg’s mandolin, the songs are too sparse for Fayssoux’s warm but unsurprising vocal delivery to carry alone. On Bill Halley’s 1932 standard, “Miss the Mississippi and You”, which has been presented by everyone from Jimmie Rodgers to Harris, Merle Haggard, and Arlo Guthrie, Fayssoux slows the tune down and delivers it as a parent would to coax a child to sleep. It’s not all misses—Skagg’s mandolin and Fayssoux’s three-part harmonies with the Whites inject a bit of toe-tapping life into “Amen Children”, and a cover of Rodney Crowell’s “California Earthquake” comes as close as anything on the album to capture the mournful sweetness that is country music’s greatest strength. Best of all is “Bugler”, which marries the album’s prettiest arrangement to the slow-water vocal cadence at which Fayssoux excels. Fayssoux also showcases strength in high-lonesome songwriting on the waltz “I Know It’s Over”, one of two of her own tunes featured. “Warm days a’coming / I need to be humming / A new tune, for a heart that’s real”, she sings before harmonizing with Emmylou Harris on the chorus. On Early, you get the sense that Fayssoux has the right heart and almost the right tune—it’s just the energy that’s missing.